During my recent stay in Southern California, I visited the Carrizo Plain. The San Andreas fault runs through the plain, producing a long scarp of high rolling hills. I took this shot atop the scarp looking south towards the snow-capped San Emigdio mountains to the south. 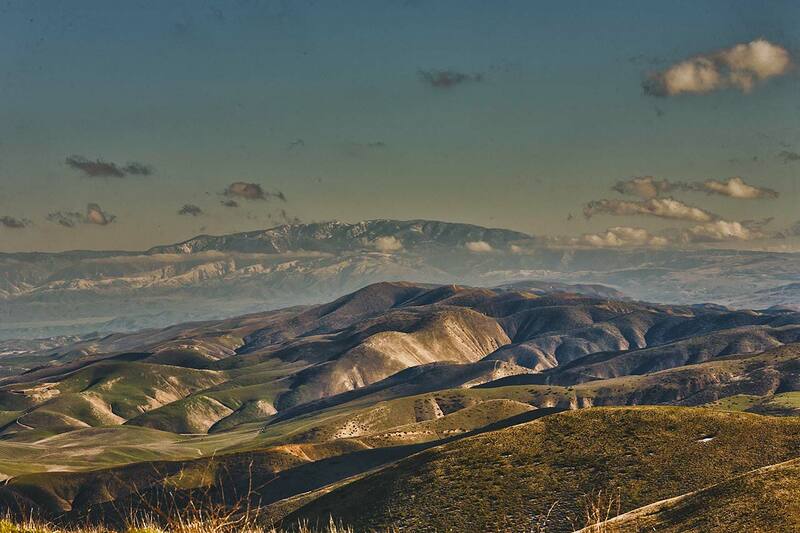 The San Emigdio range form a part of the southern edge of California's San Joaquin Valley. Santa Barbara and the Pacific coast are on the other side. The snow on the peaks is fairly rare and completes this vista.